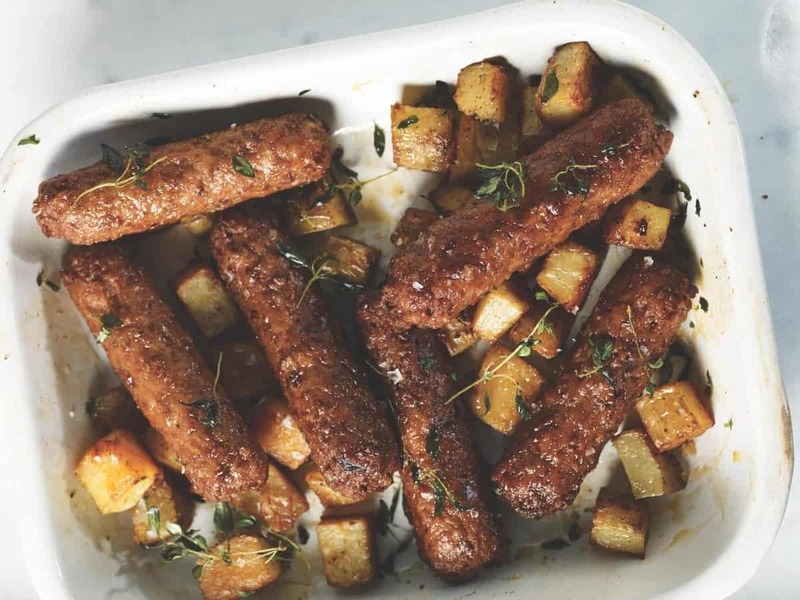 Sales of vegan and vegetarian sausages are rising, according to frozen foods distributor Central Foods. The company conducted research in anticipation of the UK’s National Vegetarian Week, which runs from May 14-20. Linda McCartney’s brand of vegan and vegetarian sausages saw a 20% sales increase between 2016 and 2017. The data indicated that if every meat-free sausage link sold last year was laid end-to-end, the chain would stack up to a height 15,000 times greater than central London’s Nelson’s Column, or a total of more than 2.5 million feet of sausage. Notably, many of the brand’s customers aren’t vegan or vegetarian. A recent study revealed the number of people living in the UK who identify as vegan exceeds three-and-a-half million — approximately seven percent of the population. The figures show that within just the past two years, veganism in Britain has seen a 700% spike in growth.